There are lots of preparedness books for adults, but what about the next generation? Is there a book to help our children learn about preparedness? I recently received a copy of Jake and Miller’s Big Adventure by Bernie Carr who writes at Apartment Prepper. This is a children’s book with preparedness tied in to the story line. Jake and his cute dog, Miller, are planning a big adventure, but Miller is a little nervous about what they might encounter. What does Jake do to help his buddy feel at ease? He brings along some basic preparedness supplies. Jake and Miller’s Big Adventure is so friendly and comforting and not at all scary. Nothing in there about EMP’s or bunkers or tin foil hats. Just the peace that basic preparedness can bring. It is a fun story about a boy and his dog that happens to teach about preparedness. 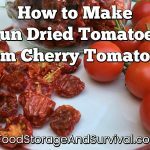 I would recommend this to any family with children or grand children they would like to share the peace of preparedness with. Hardbound so it’s going to last, and the illustrations are perfect! My almost 3 year old claimed this book as his own as soon as it arrived and told me he liked it before we even read it. Then he followed me around asking me to read it until we finally sat down and did. And he was right, he did like it. Also read and enjoyed by the 9 year old. 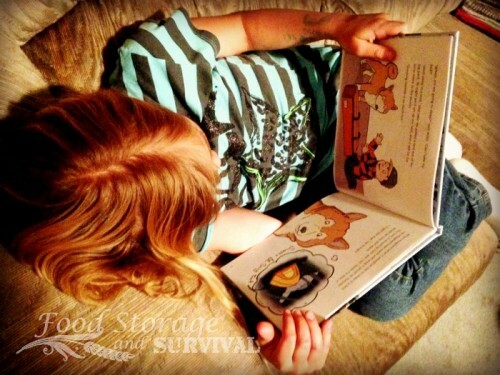 Cute, easy reading story teaching peace through preparedness for kids. 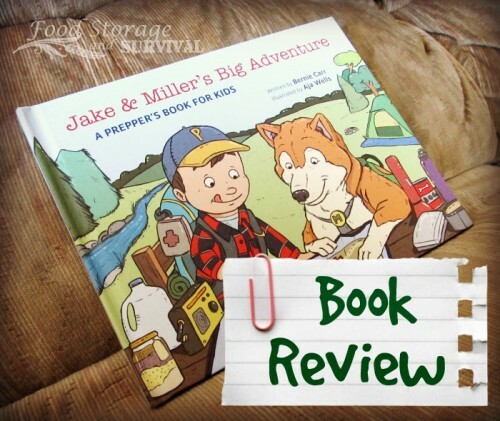 Pick up your copy of Jake and Miller’s Big Adventure at Amazon or wherever books are sold.